GoshAbout: Bravo TV’s Friends To Lovers “STARTING FIRES!! !” – GOSH!About: Fashion. Art. Music. Events. TV. Non Profits 'N' Lifestyle > Subscribe now! Kris & Alex; Jin & Sydney; Marshana & Stefan; and Charley & Darion. All have put in many years together as ‘friends’ except for Marshana & Stefan who met online and went out on a date that turned out sooo wrong for both, that they both ended up in the ” Friends Basket”. What’s bizarre about this experiment is that once being in the friend zone for a serious amount of time, it becomes a serious challenge to step out of that, and produce feelings beyond that category. So now the questions become, should they really do this, and if so will it work? Can one produce a sexual love for the next after being friends for sooo long? Lets see what happens in Episode 2 next week on Monday @10pm est. on BRAVO TV. — please check your local listings for times! 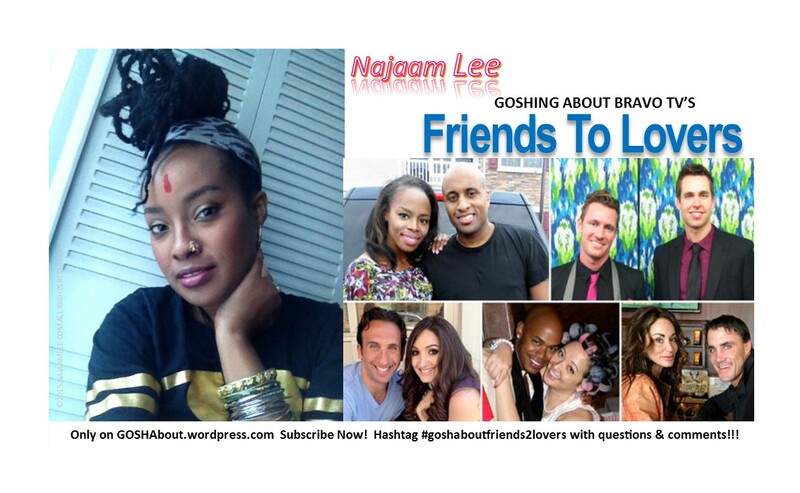 Remember to comment below and use the hashtag on Twitter #goshaboutfriends2lovers for all questions & comments.